When disasters happen, Bulldog Cleaning & Restoration is there to make sure you are able to maintain your regular routines and restore your property back to pre-loss condition. 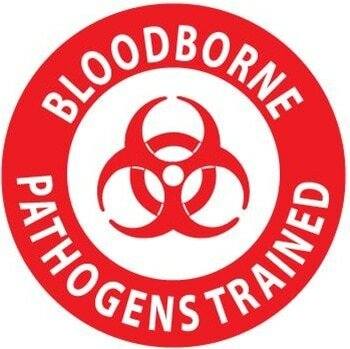 Bulldog Trauma Scene Technicians hold Bloodborne Pathogen certifications and undergo extensive training on how to professionally and safely clean up the structure. Trauma Scene Clean-up requires special handling. We know the importance of being discreet and handling the situation with care. When a loss occurs, Bulldog Cleaning & Restoration restores the property to safe habitable conditions. Disinfection and decontamination is key. Bulldog Cleaning & Restoration follows strict guidelines and procedures when handling Trauma Scene Clean-ups. Bulldog Technicians will chemically clean and disinfect the area, remove waste, and deodorize the structure. Our goal is to quickly return the space to pre-loss condition safely. Why Bulldog Cleaning & Restoration? Bulldog Cleaning & Restoration is there to do a job. This does NOT include speaking with neighbors, making public statements or making decisions on personal effects. We discreetly do one thing - clean up after the loss and make the property habitable again. Common Crime & Trauma Scenarios..
Tissue, bodily fluids and other pathogenic materials resulting from trauma, crime, accident or death is removed and disposed of according to OSHA and EPA guidelines. Bulldog Cleaning & Restoration will clean, disinfect and deodorize the structure making sure you are able to safely return to a habitable space. Bulldog Cleaning & Restoration can clean and restore your property after a crime scene investigation. From fingerprint powder to tear gas residue, our Bulldog Cleaning & Restoration Technicians have the knowledge necessary to handle any size situation. The production of methamphetamine and other illegal drugs may include volatile chemicals. These chemicals can leave residue on walls, & contents throughout the structure. Our Bulldog Technicians follow strict guidelines to efficiently and effectively bring the property back to pre-loss condition.